Therefore, 2.5 hours of moderate aerobic exercise or one hour of vigorous intensity exercise every week will reduce the issues we have mentioned above. Cycling has a high potential that will help you meet required exercise goals especially if you wish to use it as part of your life. The time will go away anyway, so you have to find out how to benefit from it. However, not everyone will be able to cycle due to low levels of fitness, steep hills, age-related limitations, long distances, and many more factors. This is when e-bikes can help you because you can start cycling and they will provide you assistance with loads, up hills and over distances. Therefore, they will provide you the possibility to commute long distances so that you can improve your fitness levels. The best way to learn more on bicycle commuting is by clicking here. The main problem is that some people will object to an idea that cycling requires assistance and that the engine power can help you get proper exercise. The idea is that these bikes will also require pedaling at all times, which means that they will give you the workout you need. The idea of assistance only kicks once you pedal, and it goes in proportion with the level of your pedaling. Anyone who has done it, state that it is difficult to commute on a traditional bike, but electric one is not that simple too. The first thing that you should notice is that e-bike will provide you convenience when it comes to working out. The level of exercise could be easily compared with an easy jog or brisk walking. Therefore, even with an electrical assistant, you will get a moderate workout, which is recommended for avoiding deadly diseases we have stated above. The other findings state that you will improve blood sugar control, which means that people with diabetes should start with cycling and they will notice the difference in four weeks after start. If you wish to learn how to ride a bicycle, you should visit this link: https://www.wikihow.com/Ride-a-Bicycle. People that own electric bikes tend to ride them more often than those that feature convenient ones. For instance, one study in Norway has deduced that e-bikes cause people to cycle more often and longer, especially women. Since you will be able to travel twice as much on the electric bike when compared with regular one both in terms of mileage and amount of trips, you will get cycling effects in a matter of weeks. 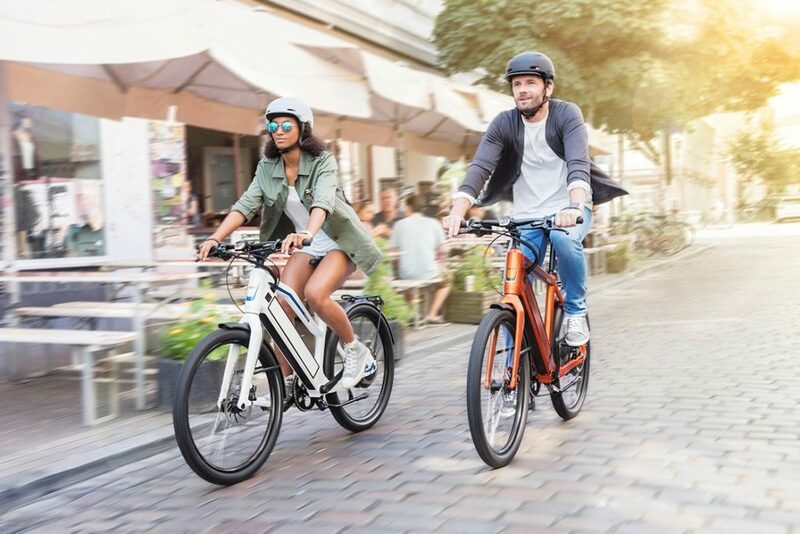 You will be able to cycle further by using an electric bike because you will reduce time spent for an average trip, and it is an excellent way of transportation in crowded areas if you wish to avoid taking out your car from the garage. A particular fact that e-bikes will make you cycle more started as an anecdote, but after talking with owners, you will notice that it is true. As soon as you switch to an e-bike, you can sustain cycling to work without over sweating, which could be a problem with traditional bicycles. It will allow the ability for most people to cycle and to enjoy all the way. It does not matter if you have heavy loads to transport, because you can do it with ease. In overall, if you wish to use e-bike to improve your fitness and health, it is useful to use a pedometer or smartwatch that will monitor your heart rate as well as other factors during the ride. That way, you will be able to determine whether you are overdoing it or not.